Barb Slone | Greene County News Greene County Parks & Trails held its annual Pumpkin Glow Oct. 26-27 at Russ Nature Reserve. 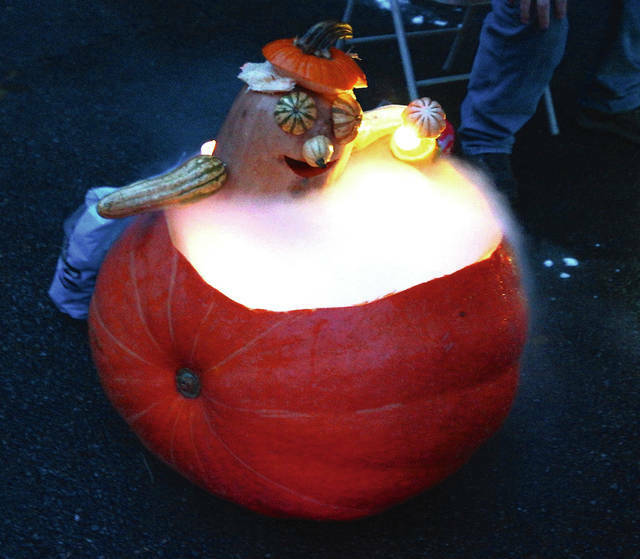 In addition to glowing pumpkins, the event featured on-sight carving and a pumpkin slingshot. For more information visit www.gcparkstrails.com, email info@gcparkstrails.com or call 937-562-6440. 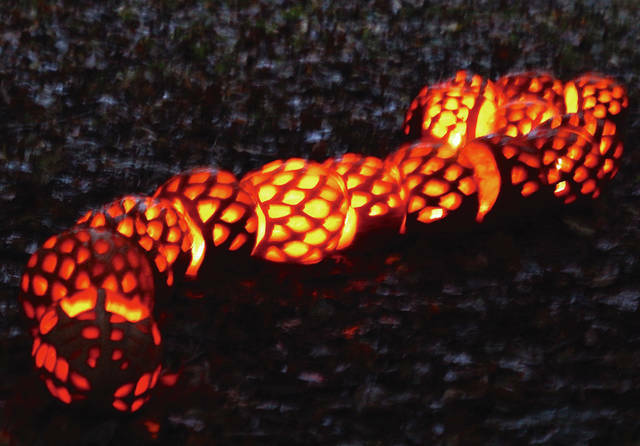 Greene County Parks & Trails held its annual Pumpkin Glow Oct. 26-27 at Russ Nature Reserve. In addition to glowing pumpkins, the event featured on-sight carving and a pumpkin slingshot. For more information visit www.gcparkstrails.com, email info@gcparkstrails.com or call 937-562-6440.
https://www.beavercreeknewscurrent.com/wp-content/uploads/sites/49/2018/11/web1_DSC00007.jpgBarb Slone | Greene County News Greene County Parks & Trails held its annual Pumpkin Glow Oct. 26-27 at Russ Nature Reserve. 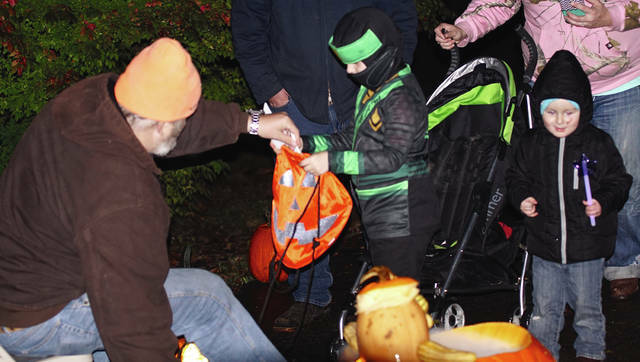 In addition to glowing pumpkins, the event featured on-sight carving and a pumpkin slingshot. For more information visit www.gcparkstrails.com, email info@gcparkstrails.com or call 937-562-6440.
https://www.beavercreeknewscurrent.com/wp-content/uploads/sites/49/2018/11/web1_DSC09866.jpgBarb Slone | Greene County News Greene County Parks & Trails held its annual Pumpkin Glow Oct. 26-27 at Russ Nature Reserve. In addition to glowing pumpkins, the event featured on-sight carving and a pumpkin slingshot. For more information visit www.gcparkstrails.com, email info@gcparkstrails.com or call 937-562-6440.
https://www.beavercreeknewscurrent.com/wp-content/uploads/sites/49/2018/11/web1_DSC09897.jpgBarb Slone | Greene County News Greene County Parks & Trails held its annual Pumpkin Glow Oct. 26-27 at Russ Nature Reserve. In addition to glowing pumpkins, the event featured on-sight carving and a pumpkin slingshot. For more information visit www.gcparkstrails.com, email info@gcparkstrails.com or call 937-562-6440.